A 44-year-old man has been sentenced to nine months in prison for anti-social behaviour. Anderson Andrew, from Stocks Road, Aldbury, was prosecuted by Dacorum Borough Council for committing an assault and breaching his Anti-Social Behaviour Injunction earlier this year. Andrew was jailed at Luton County Court, where the council was awarded court costs of £9,922. 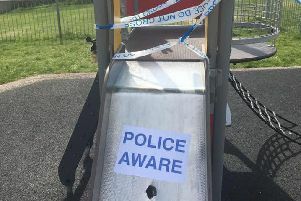 The case used the new Anti-Social Behaviour (ASB) legislation under the ASB, Police and Crime Act 2014 that was introduced in March this year. This new legistlation replaces Anti-Social Behaviour Orders.